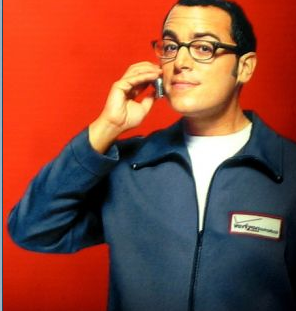 Do you ever feel like the Verizon guy? Can you hear me now? Do you ever feel like you are talking, but you’re not sure if all of your students are listening to you? Some days it seems like you need to do a sound check. After numerous conversations with parents of my non-listeners, I discovered a pattern. These students had frequent ear infections when they were toddlers. 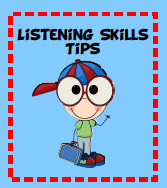 Toddlers years are important developmental years when it comes to skill development for listening and following directions. This is the stage when children learn to follow one and two step directions such as “go get your socks and shoes so we can go see Grandma.” When you have an ear infection, your hearing is similar to your head being underwater. You hear sound, but not the actual words. My own personal theory is, children with frequent ear infections during these developmental stages, don’t learn to tune into the meaning of words. Parents only have a few children so they can repeat directions several times. As a parent, it’s irritating, but not alarming. But, in a classroom with 20+ students, repeating directions more than 2 or 3 times is not a luxury most teachers have. It is an issue that teachers will bring to parent’s attention. What is a parent and teacher to do when they have a child or student who doesn’t attend to the meaning of words? Parents and the teacher need to get on the same page, double team the child. Make the child look at you when you give directions so you know they are tuned into what you are getting ready to say.When you or the parent give directions, ask the child to repeat what you just said. Visuals can also help, too. I am a big fan of the L-shaped acrylic picture frames that you can buy for a few dollars at Wal-Mart or Target. These make great sign holders for all the routine procedures in your classroom. Here’s a picture of my sign next to my homework tub. If a student ask you a question about one of your routine activities, point to the sign. You are teaching your students to use visual cues. Here are homework labels you can download. it for free by clicking here. These labels are inside the homework folder. You can download them, too.